“Chemo brain” is slang for the mental cloudiness that up to 75 percent of cancer patients experience after chemotherapy. It is not imaginary—it is a validated phenomenon, according to Margaret von Mehren, MD, Chief of the Division of Sarcoma Medical Oncology at Fox Chase Cancer Center. Cognitive problems can start during or after treatment and, for some patients, even earlier due to cancer symptoms and the stress of the diagnosis itself. This mental fog may mean you forget things you used to automatically remember. You may have trouble focusing, particularly if you are trying to multitask or think through something complex. You may just feel a little slower or a little confused. “My patients who have experienced it typically report a decline in mental acuity and ability to remember. It can be a mild annoyance that disappears after therapy is done, or a greater concern if it affects daily activities,” von Mehren said. Chemo brain can be subtle, come on quickly, and fade within weeks, or it may be more pronounced or longer lasting. It is not clear if certain chemotherapy drugs are more likely than others to cause chemo brain, or why certain patients report symptoms and others don’t, von Mehren noted. It is good to recognize that things other than chemotherapy can cause a foggy brain. Some can be addressed fairly easily, like dehydration, nutritional deficiencies, or lack of exercise. Others can be complications of cancer, like anemia or menopause. Chronic stress, insomnia, anxiety, depression, and pain affect mental acuity. Paradoxically, medications for pain, sleep, anxiety, depression, anemia, nausea, and drugs to combat infection can also cause cognitive clouding. “Pain can be physically and emotionally draining, adding to the chemo brain. Sometimes the medications used to address pain may be sedating or may impact a clear thought process,” von Mehren said. With so many causes, it is easy to see why some people have difficulties thinking and remembering during and after chemotherapy treatment. Unfortunately, there is no cure for chemo brain, but there are several helpful suggestions that are likely to serve you well throughout your survivorship. Establish regular routines, like putting your keys in the same place every day. Try to do one thing at a time; multi-tasking is the enemy of productivity. Add some physical activity to your day if possible. Walking, gardening, swimming, and yoga are all possibilities. Try a new activity—it is not necessary to be good at piano or Sudoku—just giving something new a try exercises the brain. Tell your care team if you have symptoms or feel anxious or depressed. 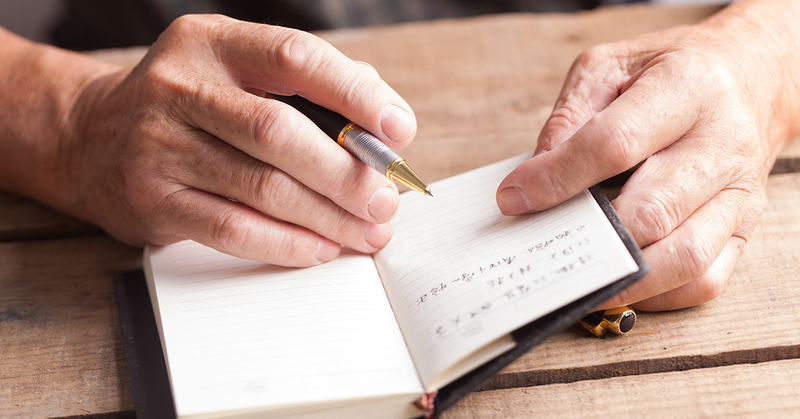 Keeping a journal of your signs and symptoms can help you and your doctor measure how your life is being affected. Most of all, be kind to yourself and remember that your care team and loved ones can provide the extra help you need.